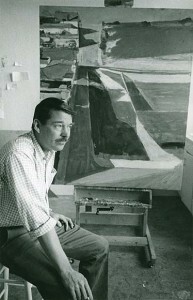 Richard Diebenkorn moved to Los Angeles from Berkeley in 1966, and settled in Santa Monica, drawn to that area by the quality of the light. 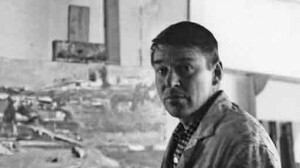 In 1967 he began the Ocean Park paintings and drawings, his best-known body of work. 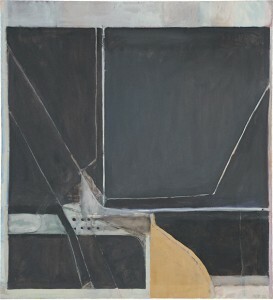 This remarkable series splits a hairline difference between abstraction and representation. 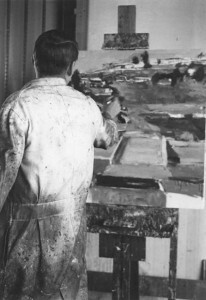 The artist acknowledged the works’ real-world referents: their boxlike compartments, often further subdivided by wedges and diagonals, correspond to boundaries both within the landscape—between sea and land (literally, ocean and park)—and between natural and human-made elements. 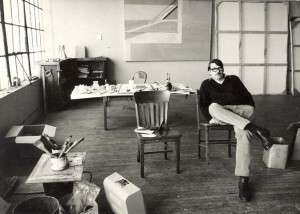 Certain configurations suggest architectural structures, others the changing conditions of the light that filtered through the transom windows in Diebenkorn’s studio. 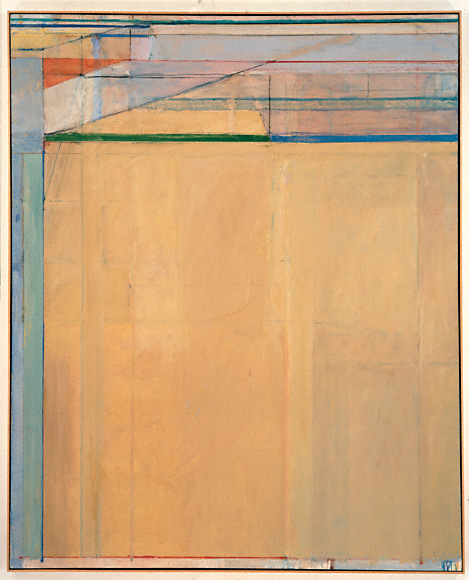 Exhibition audio: Curator Andrew Perchuk discusses Diebenkorn’s work.